What Does Civic Success Look Like? 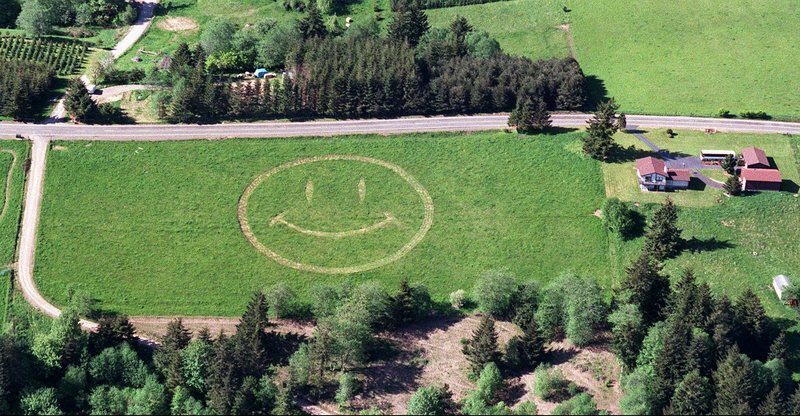 Smiley face in a hay field in Carrolls, Washington. BROOKE GLADSTONE: And I'm Brooke Gladstone. As the argument over civility rages in Washington and the media, civil society is quietly thriving in small towns all over America, In 2013, James Fallows of The Atlantic and author and linguist Deborah Fallows started what would turn into a five-year expedition to small towns mostly overlooked, taking the measure of lives lived outside the media lens. They chronicled lessons learned in their book, Our Towns: A 100,000-Mile Journey into the Heart of America. JAMES FALLOWS: We have this vehicle, literally and figuratively, of a propeller airplane that was used for a long time, so he thought, what would it be like to go out into the middle of the country and not ask people how they felt about Obama, Hillary Clinton or the Republicans but how they felt about the life of their towns. BROOKE GLADSTONE: And I’m supposed to believe that this was really about using the plane to take a trip and not about creating a trip in order to use the plane. DEBORAH FALLOWS: [LAUGHS] We may have different answers to that one. JAMES FALLOWS: More than five years ago, I put a post on The Atlantic site saying, tell us the story of your town. We’re looking for a place not usually in the media and a place that had some kind of problem, factory closing, natural disaster, whatever. We got about a thousand replies to that. We heard from 49 of the 50 states and lots of small places, and where we ended up going, on average, they were poorer than the national average. DEBORAH FALLOWS: The first day in town, we’d go see the usual suspects, someone from the newspaper, somebody maybe in the economic development territory. We’d talk to the librarian and we'd ask, what's the story here, who drives this town? So after that first day, I would go to the library and the schools and Jim would go down to Main Street and talk with the city officials, and then we'd meet up at the brewpub. BROOKE GLADSTONE: The brewpubs, they seem to come up a lot. JAMES FALLOWS: [LAUGHS] Well, yes, and just as you have correctly intuited that I was looking for a way to take a long, you know, airplane trip, so too I’d been looking for a way to hang out at brewpubs. Every state now has a thriving craft brew industry that employs a lot of people and it’s been a real vector of urban redevelopment. Because breweries look for a lot of real estate cheap, they go to fringe areas of town. It’s sort of like the arts in being a way to rehabilitate parts of town. BROOKE GLADSTONE: A brewpub is a sign that a town is doing well. You offer a number of indications. JAMES FALLOWS: Ten and a half signs of civic success and 10 of them are serious and the half is the brewpub. City by city, we would say in most places there's this sense of reinvention and renewal and agency, and we ended up with this matrix of things that would make you think this town was moving ahead. BROOKE GLADSTONE: One sign of civic success is that people living in the town know the civic story. What’s that mean? DEBORAH FALLOWS: Columbus, Mississippi, kids in the high school go to the town cemetery. Their seminal history happened during the Civil War. It was a hospital town. They’ll choose people in those graves, do the research at the county libraries and then create reenactments of stories that would have happened in everyday real life there. And you can imagine that they’re heavy with racial confrontations. And they go to the cemetery in full regalia and present them as plays and as musicals for the people of the town. They do it every year. BROOKE GLADSTONE: You also talked about the use of language in recasting the narrative. Was it Eastport, Maine where they were underplaying the D words like decline or depressed. DEBORAH FALLOWS: The D words became the rewords, right. The depressing, denounce, deplore became reinvigorate, renovate, renew. A few of the influential people in the town, just fed up with the negativity about which their town was written, went on an education campaign to take out those D words and put in those rewords and make people use those words. And it’s a small enough town that it actually seemed to kind of work. BROOKE GLADSTONE: Another element of civic success which I think is really relevant now is the successful town is open. JAMES FALLOWS: Communities are aware of this as a way to, to revive themselves. DEBORAH FALLOWS: Yes, so we actually just happened by chance to three or four towns where there was a significant proportion of refugee resettlement, Sioux Falls, South Dakota, Erie, Pennsylvania, Burlington, Vermont. And in Dodge City, it was an immigrant population, mostly Hispanic. Sioux Falls had been receiving refugees, mainly started by the Lutheran Services and Catholic Charities -- it’s often these religious groups that begin taking in refugees to settle there -- and have been taking wave after wave since the Vietnam War. There are something like 60 languages in the public schools of Sioux Falls. And here's a language bit that you hear in all of these town, which is, we need each other because in Sioux Falls it's the Muslim population who are working in the slaughterhouses. JAMES FALLOWS: In the pig slaughterhouses. DEBORAH FALLOWS: In the pig slaughterhouses. DEBORAH FALLOWS: The policemen are culturally trained for each new group of refugees who come in and might bring different problems, like, when you pull a guy over and he's trying to bribe you out of a ticket, you are aware of what happens in his home country and you address that in a cultural way. The town has a remarkable flexibility and resilience. BROOKE GLADSTONE: Another one of your ten and a half signs of civic success is public-private partnerships, which reminds me of the hot sidewalks of Holland, Michigan. DEBORAH FALLOWS: Another maybe more traditional example of this was, was what we saw in Greenville, formerly an old textile mill town and, and now has a lot of big industry like BMW and GE and Michelin. BROOKE GLADSTONE: And you drew an interesting comparison between Greenville, South Carolina and Burlington, Vermont. JAMES FALLOWS: From the national media's perspective, there couldn’t be two more opposite towns than Greenville and Burlington. Greenville, South Carolina, it’s the home of Bob Jones University. Trey Gowdy is their congressman. Burlington, Vermont, by contrast, Bernie Sanders was the mayor. The two contending parties were the Democrats and the Socialists. And so, these are really different cities on the national grid, but you would think they were the same. The mayor works with the industry, the universities, the NGOs. DEBORAH FALLOWS: -- because they want these kids to learn how to argue, to debate, to write, to collaborate, to negotiate, because you don't just want basic engineers; you want these full-fledged people. BROOKE GLADSTONE: And in Burlington, there was also an incredible educational effort. DEBORAH FALLOWS: -- are big sponsors. The Bike Store delivered all kinds of bikes. The YMCA sent down teachers to teach the kids how to swim in Lake Champlain, just a walk from the school. What we found in many of these towns are schools that suit the place that they're in. BROOKE GLADSTONE: Now, one thing you didn't do is talk about national politics. JAMES FALLOWS: It is actually the least interesting thing you can talk about with people. Our natural reflex in the media say, oh, this is the most divided time ever for the country, etc., etc., and that is true if you're talking about national politics. It is not true if you look at the way that cities decide to tax themselves to pay for schools or the way that they're actually absorbing immigrants. So the feel of most of interior America is very different from the tone of cable news. BROOKE GLADSTONE: Okay, so what was the feel, say, in Wyoming? You were there right after the election. The majority had voted for Trump. JAMES FALLOWS: So we were in both Cheyenne and Laramie for about a week after the election. There was an overwhelming landslide for Trump there, three to one or so. People we talked to were very glad, most of them, very glad that Trump had won. But simultaneously, they were saying, well, we hope this doesn't screw up NAFTA because, of course, all of our exports to Mexico depend on that. We hope it doesn't screw up the immigration system. And you could make fun of that for sort of what were they thinking but also it struck me as just the accelerating disconnection between the almost religious passions that animate national political divisions and the actual stuff of life where the people there recognized that their, their economy depends on international trade, their labor force depended on flows of people with different kinds of, of visas. So they didn't want to change any of that but just, if you asked them on national politics, they hated Hillary and thought Trump would shake things up. You know, here’s the thing. I read your columns after the election, Jim, and I didn't hear any more eloquent anguish than what you were expressing. Do you feel like, like you missed something? JAMES FALLOWS: You recall after the election there was this “out there” riff, that only if you had been out there you would understand the fury, the bitterness, the dystopia, the hell scape. And we had been out there for the previous couple of years, and our observation is that except when it comes to these national passions of how you feel about Hillary Clinton, in specific, Barack Obama, the liberals or Donald Trump, that if you do not sort of puncture that little sack of bile, the rest of the fabric works the way that you would think a society like this basically should work, with all of the imperfections. And so, I don’t think we missed the temper of the country. I think what was missed is the anomalous way Trump was able to win. From James Comey to the exact complexion of the Electoral College, a thousand things had to go in a certain direction for him to end up with a deficit of 3 million votes but ending up in control of the, of the government. I think I wrote in The Atlantic after the election that this was the worst blow the American idea had received in my lifetime. But I testify to you that this is not representative of the fabric of the country in its daily life. And I feel like there’s a struggle between all the forces of darkness at the national level and all these forces of renewal at the local level. So at least shining a light on that is something that we wanted to try to do. BROOKE GLADSTONE: I want to thank you both for these stories. JAMES FALLOWS: Well, thank you, Brooke, for giving us a chance to talk about it. DEBORAH FALLOWS: Thank you, Brooke. Thank you. BROOKE GLADSTONE: James and Deborah Fallows are the authors of Our Towns: A 100,000-Mile Journey Into the Heart of America. BOB GARFIELD: That’s it for this week’s show. 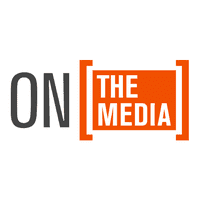 On the Media is produced by Alana Casanova-Burgess, Jesse Brenneman, Micah Loewinger, Leah Feder and Jon Hanrahan. We had more help from Kate Brown and Meg Harney. And our show was edited -- by Brooke. Our technical director is Jennifer Munson. Our engineers this week were Sam Bair and Greg Rippin. BROOKE GLADSTONE: Katya Rogers is our executive producer. On the Media is a production of WNYC Studios. I’m Brooke Gladstone.